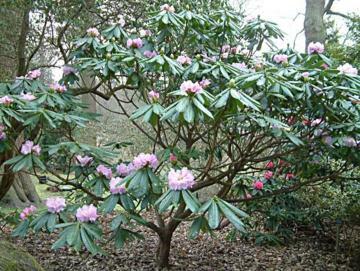 Beautiful spreading large evergreen shrub or small tree with stout shoots and drooping, large dark green leaves up to 30cm long. Trusses of bell shaped pale lilac-pink to rose-pink flowers, purple spotted inside, from February to April. 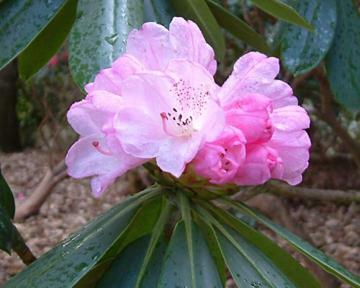 Introduced from Western China by E.H. Wilson in 1900.